Having so much fun rediscovering clay art! 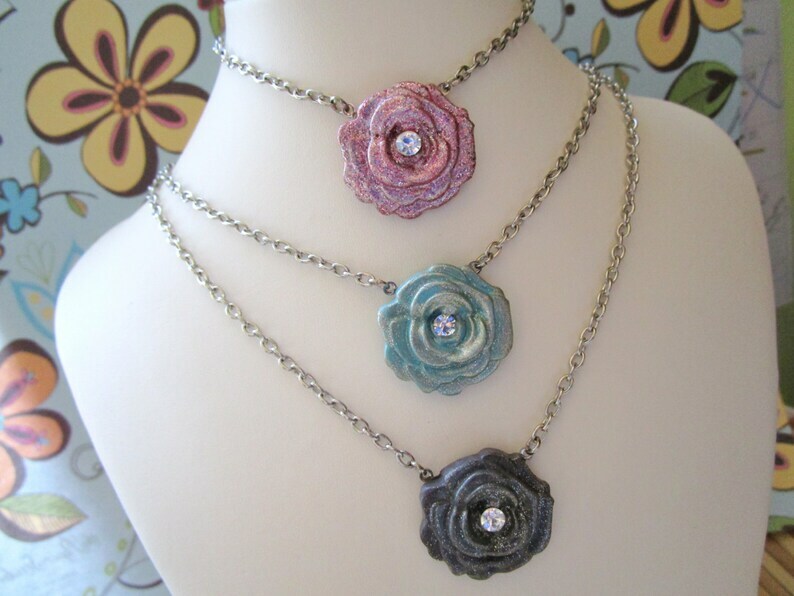 What you will receive is one very simple rose necklace detailed with a clear rhinestone crystal in the center. This rose measures approximately one inch across. If you do not see the color you'd like, please inquire, I love custom orders! Perfect for bridesmaids, a unique gift or a perfect gift for you!